Improve your third-party vendor due diligence process with ongoing management and risk assessment. Regulators and examiners continue to pressure financial institutions to improve their management of third-party vendor relationships, and the risks associated with those relationships. Verafin’s vendor management functionality helps you improve your ongoing vendor due diligence process and, in turn, your vendor risk assessment. Verafin gives you the ability to set a due diligence review task on a vendor. Set the date, assign a task owner, and Verafin will email a reminder when the review is due. Attach documentation, such as contracts and due diligence documents, directly to a vendor’s profile in Verafin, creating a one-stop location for all relevant information on that vendor. Vendors are automatically scanned against enabled Watch Lists, including OFAC and FinCEN 314(a); a watch list alert history is available for all vendors. A vendor management workflow gives you a quick overview of the status of your vendor reviews as well as their document and contract status. The dashboard also gives you quick access to your incomplete tasks. At the click of a button, add documentation, contacts, detailed notes, and tasks — a vendor profile an examiner dreams of, in one place. With your vendor profiles, documentation, and review information in one place you can easily access an overview of the vendor and your relationship. Create a task with defined start/end dates and a description. Then set a recipient to receive an email reminder on the start date. 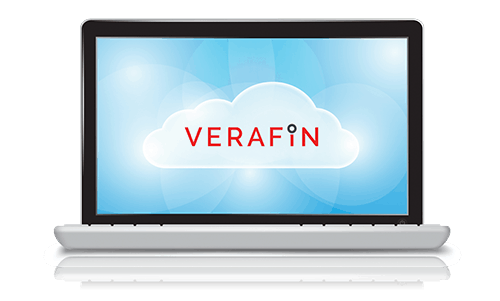 Interested in learning more about Verafin's Vendor Management Solution?